It's super cool! Cool2Craft TV April 9, 2012: If the Shoe Fits! 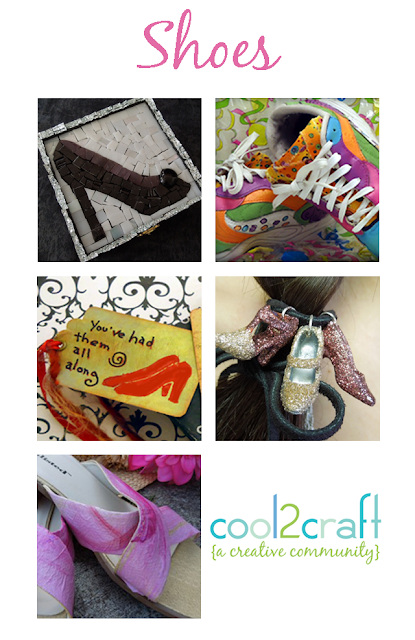 - We're celebrating creativity with shoe-themed ideas this week! EcoHeidi Borchers is putting on her high-heels to create a mosaic box featuring Aleene's Original Tacky Glue, Candace Jedrowicz paints up her tennies with Tulip Soft Fashion Paint, Tiffany Windsor transforms plain sandals with Aleene's Collage Pauge, and Savannah Starr creates a hair fashion accessory with glitter and Aleene's Original Tacky Glue. It’s easy to watch the Cool2Craft TV Channel right from your computer. Airing Monday April 9, 2012 9am Pacific/10am Mountain/ 11 am Central/ Noon Eastern. Go to http://cool2craft.com and you'll see the Livestream player and chat box. See you Monday! Nice blog, informative, and here on the mentioned website you can find unique collection of family facts, in form of quotes and saying.